Mingo Falls, a set on Flickr. On the way to the Tallulah Gorge, I made a short detour to Cherokee to see and photograph Mingo Falls again. I was there 2 weeks ago and was not happy at all with my photo results. 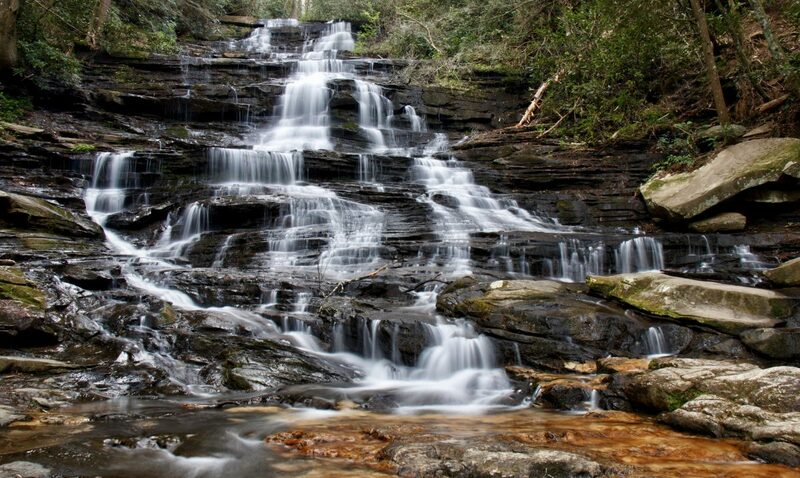 This is a beautiful waterfall standing over 200 feet high! It is a short hike, straight up many steps, but well worth is. It is one of the most beautiful ones NC has to offer I believe, but not the easiest one to photograph with the challenges the light provides.